I always been thinking that buying 8kg washing machine is the same as buying 8 kg dryer but am wrong. And this time, going to move to a new home, we ae getting a dryer that perhaps suits for apartment user. ✔️There are several factors to take into consideration while shopping for a new dryer. ✔️How much do you want to pay up front? ✔️How much do you want to pay for your electrical each month? ✔️How much space do you have available? ✔️How important is the dryer's appearance to you? ✔️What sort of features do you want your dryer to have? ✔️How you want the dryer to be presented - Stacked or side by side? ✔️Do you want to have 2 in 1 dryer washer or just dryer alone? There is so much to think and there are also many brands in the market. Recently we had walked and surveyed our dryer in Harvey Norman and we found out there are 3 types of dryer. The warm, damp air – extracted from your clothes during the drying process – needs to be expelled through an open window or space, or through a vent or ducted hose (ensure your designated space can accomodate these). 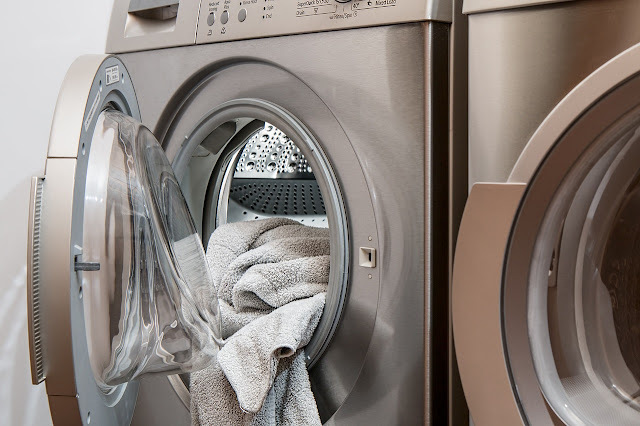 Vented dryers are affordable and effective but tend to be noisy and energy-consuming. The warm, damp air goes through condensation, whereby the extracted moisture is stored in a tank, while the air is reheated to dry the clothes. As there is no need to release air out of the dryer, the condenser dryer can work in a windowless room. However, clothes take a longer time to dry and the water tank needs to be emptied. The warm, damp air is converted into cool, dry air. This air is then reheated before it enters the drum again. This dryer is also suitable for windowless rooms. The closed circuit, which allows the recycling of air, also allows energy savings of about 50 per cent.